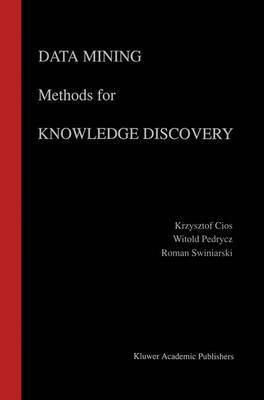 Data Mining Methods for Knowledge Discovery provides an introduction to the data mining methods that are frequently used in the process of knowledge discovery. This book first elaborates on the fundamentals of each of the data mining methods: rough sets, Bayesian analysis, fuzzy sets, genetic algorithms, machine learning, neural networks, and preprocessing techniques. The book then goes on to thoroughly discuss these methods in the setting of the overall process of knowledge discovery. Numerous illustrative examples and experimental findings are also included. Each chapter comes with an extensive bibliography. Data Mining Methods for Knowledge Discovery is intended for senior undergraduate and graduate students, as well as a broad audience of professionals in computer and information sciences, medical informatics, and business information systems.